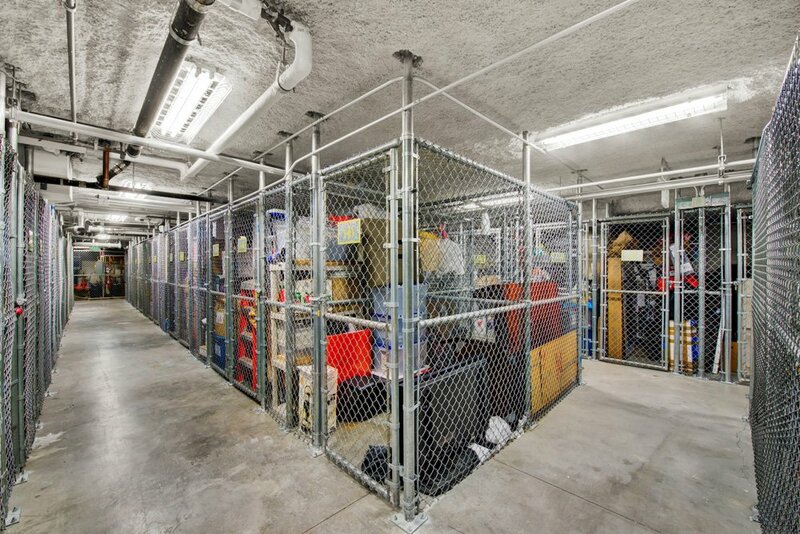 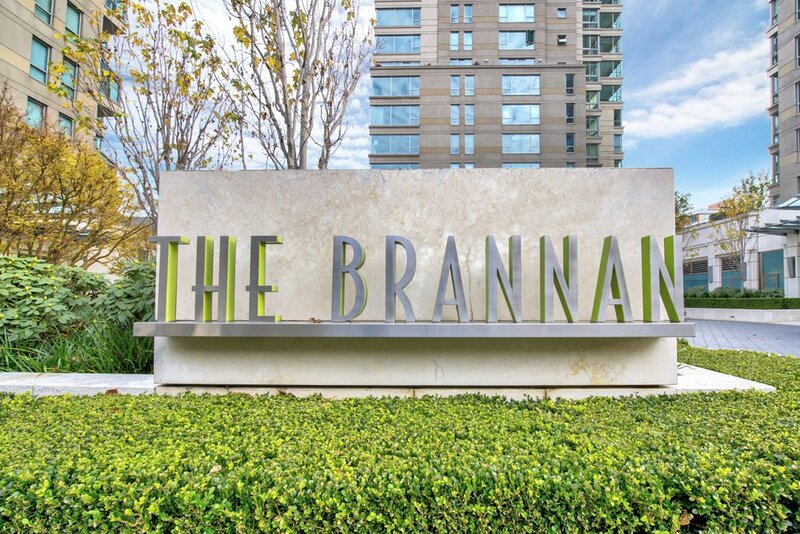 In the year 2000, the Brannan was visionary – edgy even. 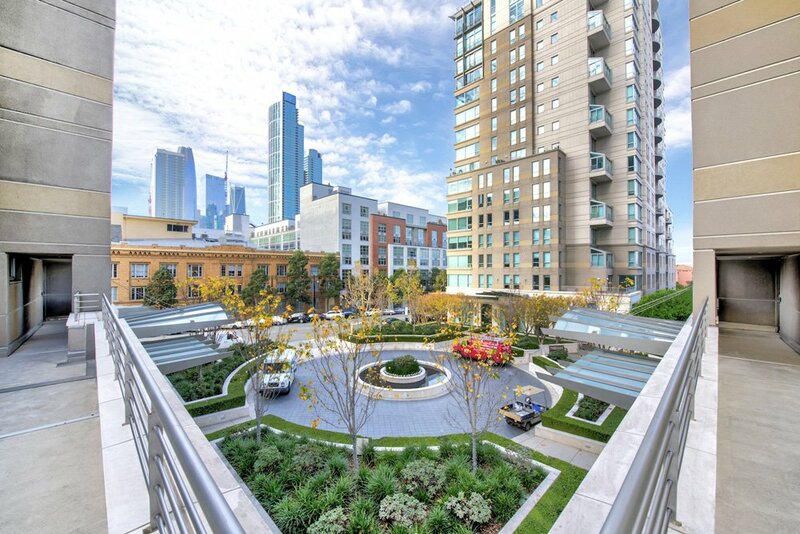 It was in an area with little residential development and offered a lifestyle still unique in San Francisco High-rises. 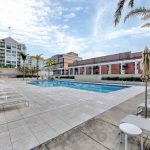 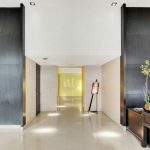 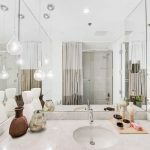 It is a complex of three towers, entered through an elegant semi-circular driveway, that share amenities, but each with their own elegant lobby and front desk staff. 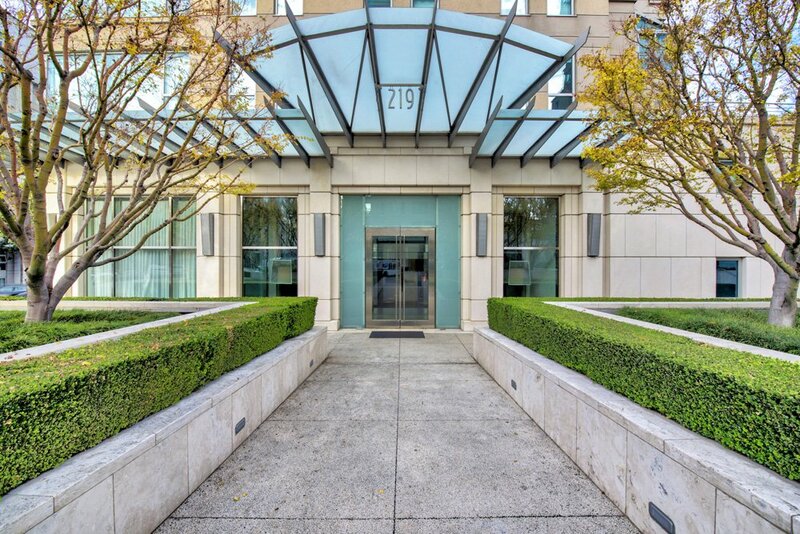 With its art nouveaux style glass awnings and excellent concierge style service, 219 Brannan evokes a Parisian boutique hotel. 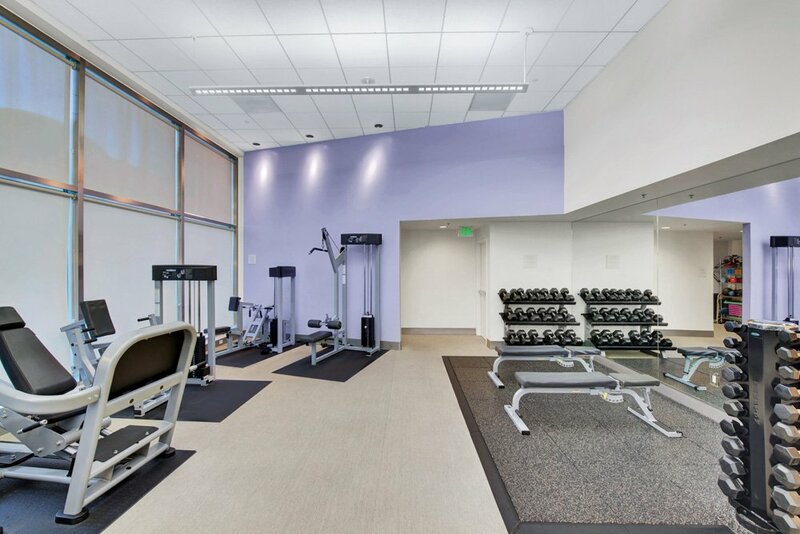 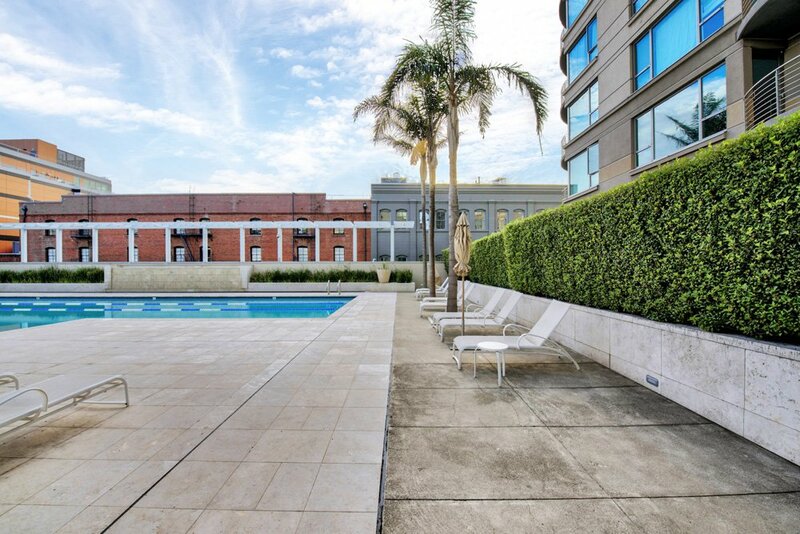 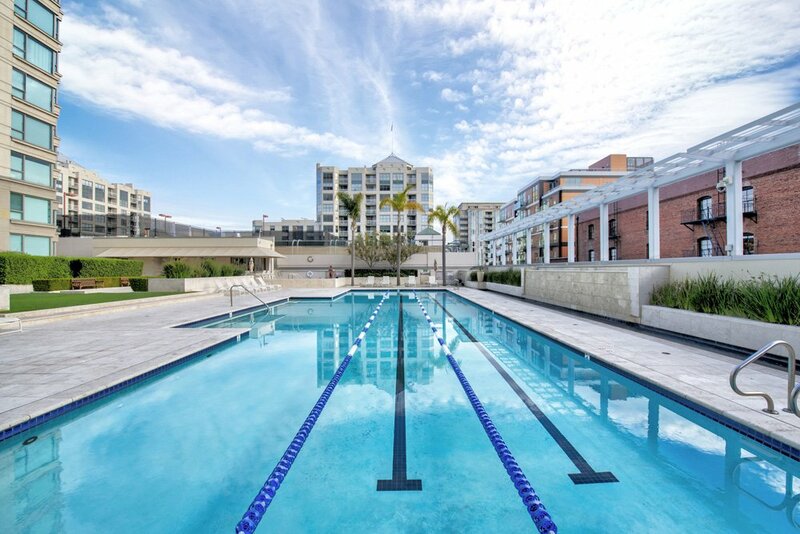 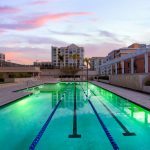 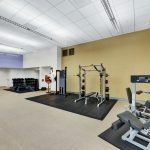 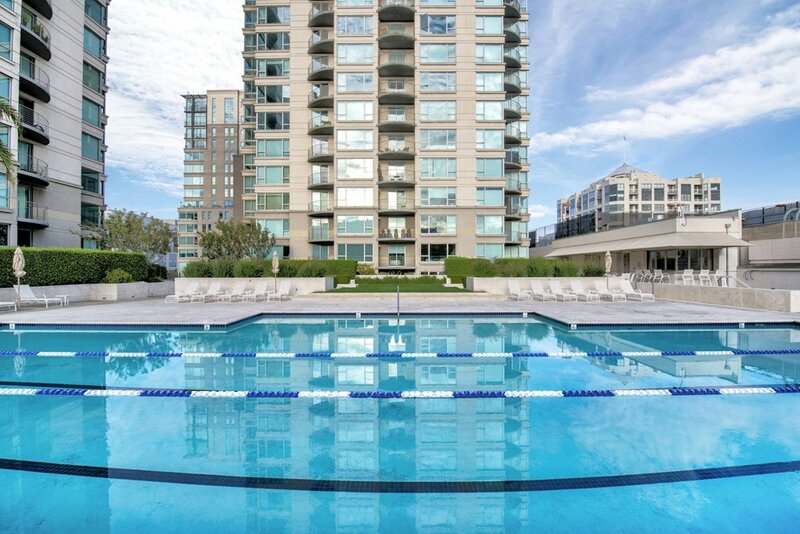 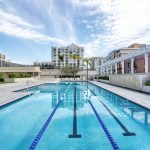 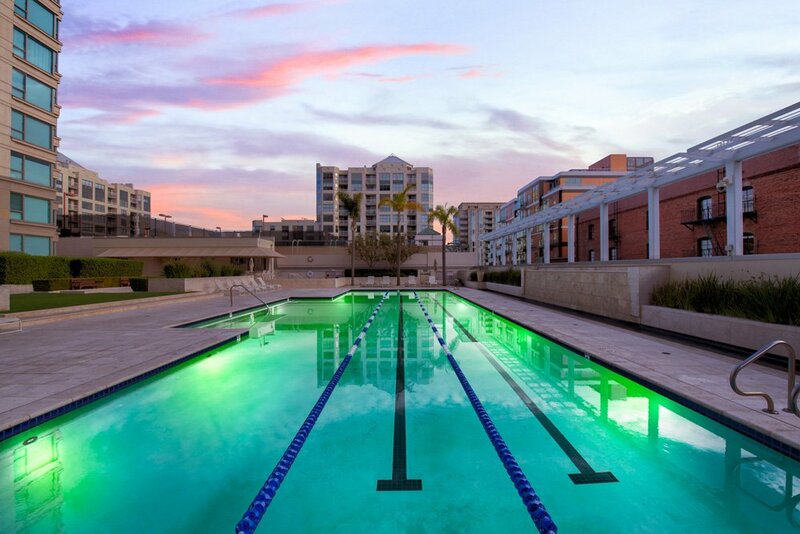 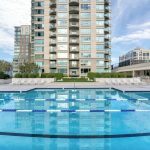 Designed by French designer Christian Liaigre, who among other projects has designed the ultra-trendy Mercer Hotel in NYC, the Brannan boasts a 3,000 square foot fitness center, outdoor entertainment facilities, and a perfectly positioned 75′ foot pool. 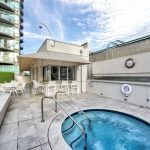 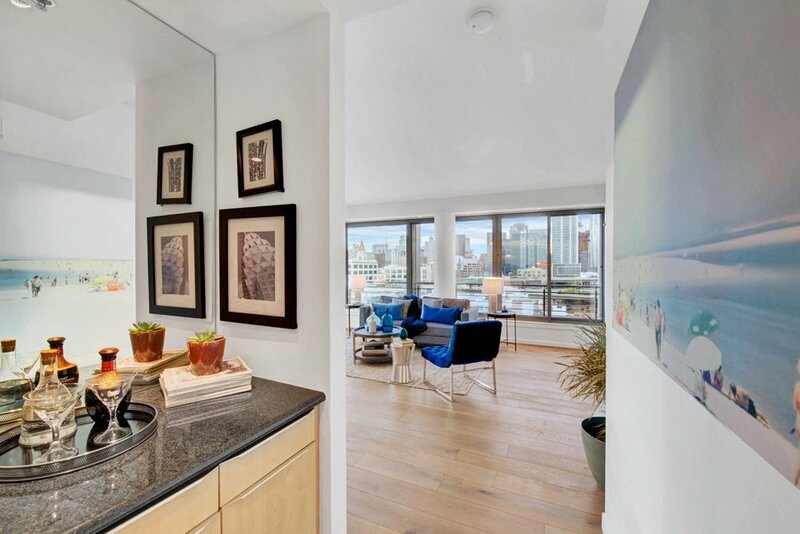 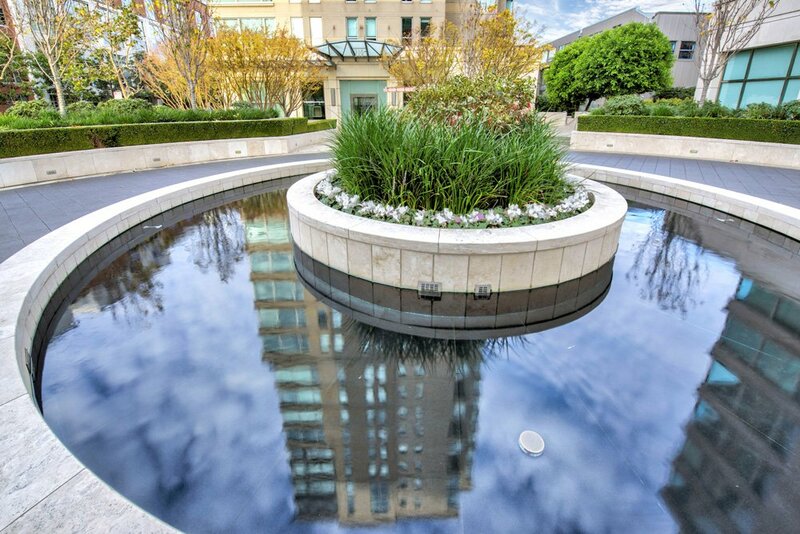 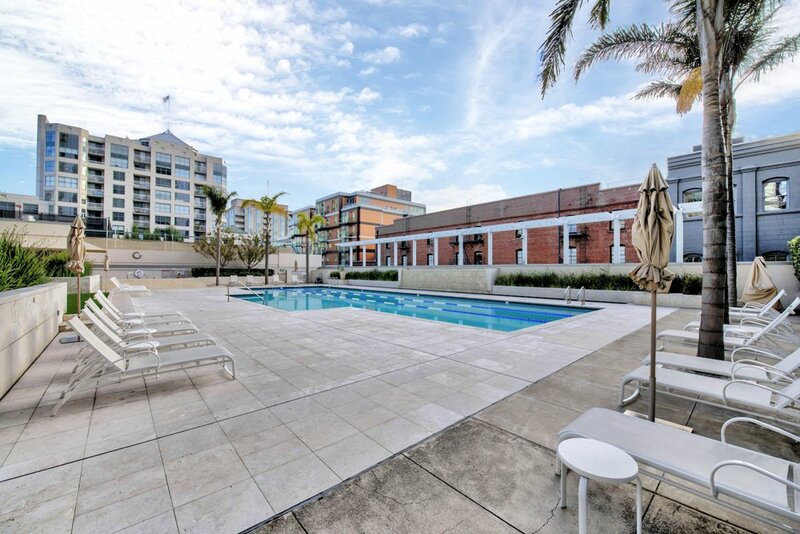 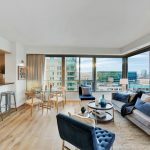 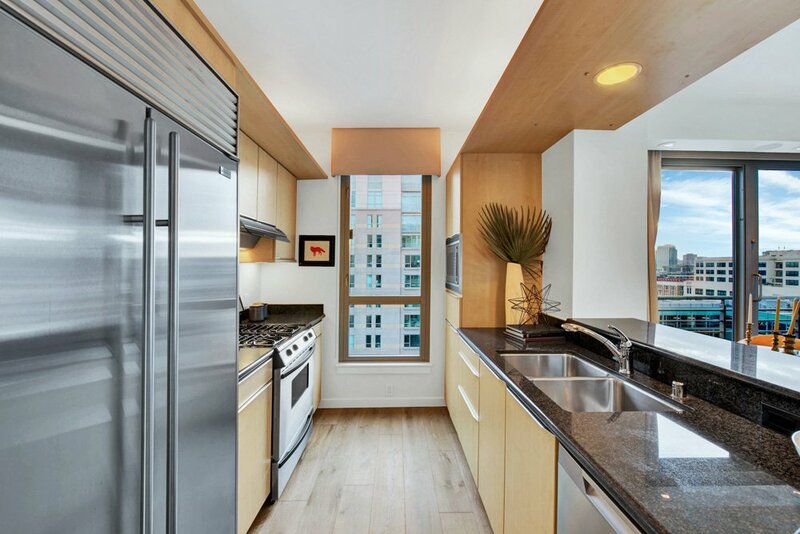 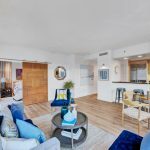 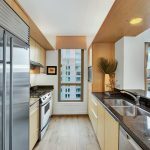 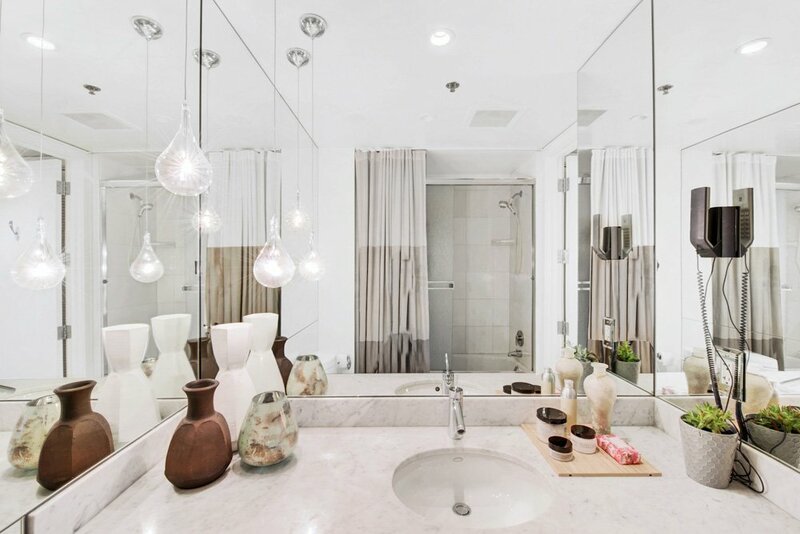 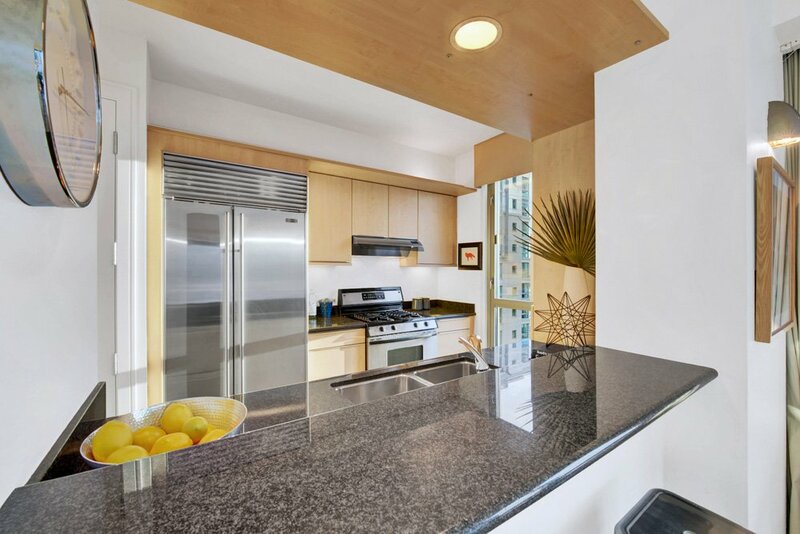 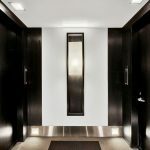 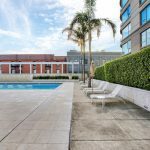 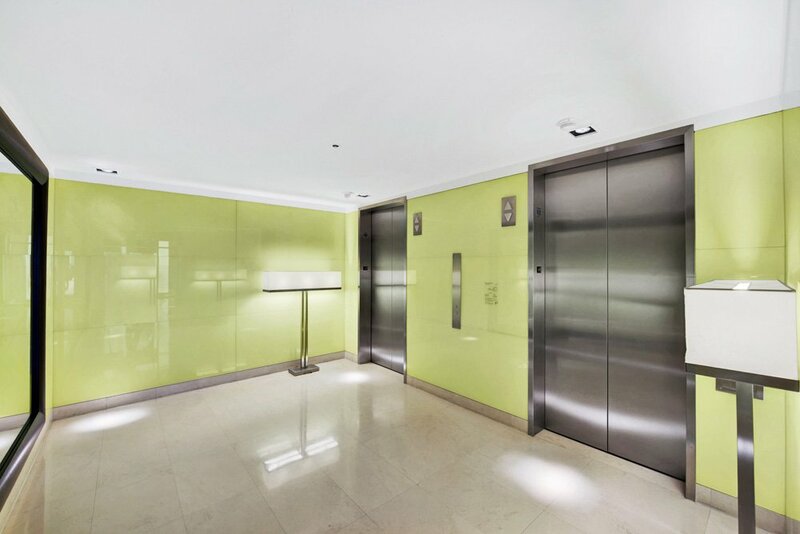 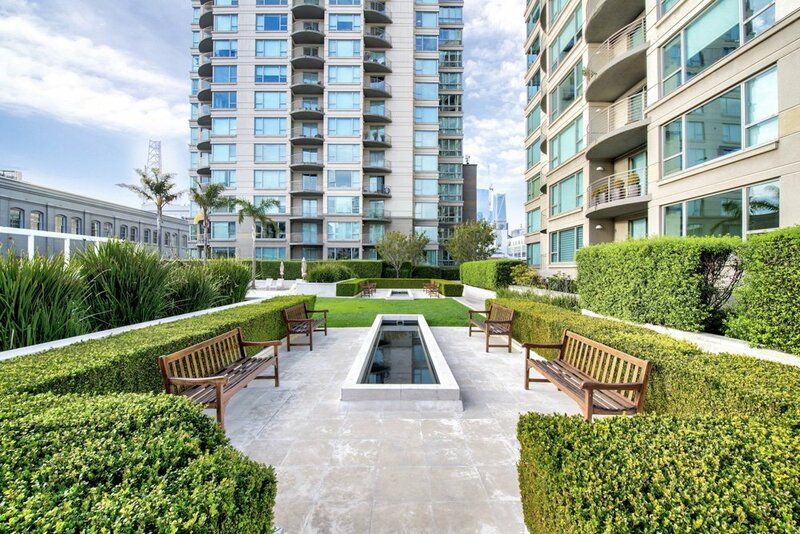 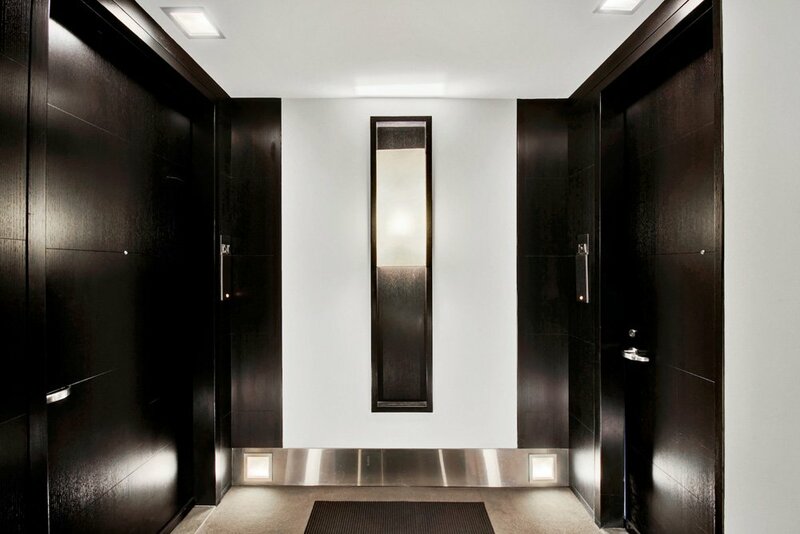 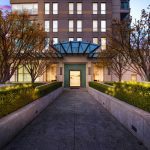 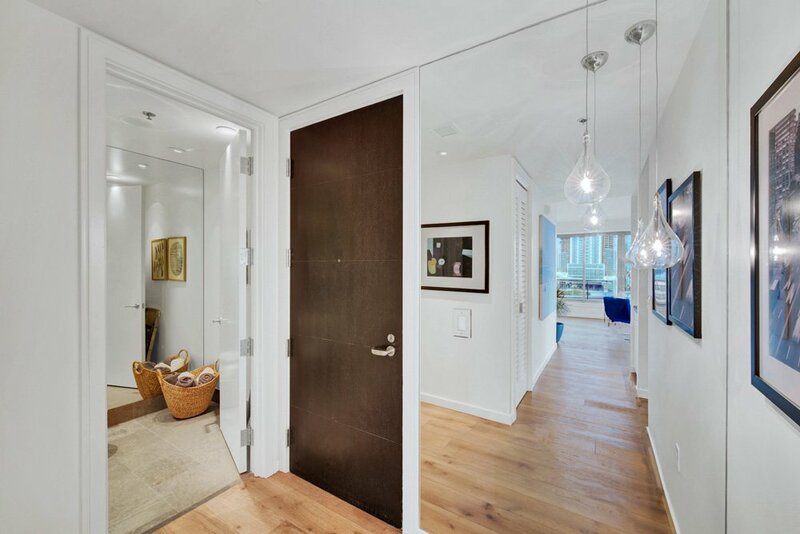 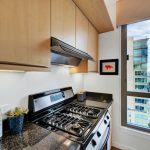 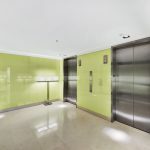 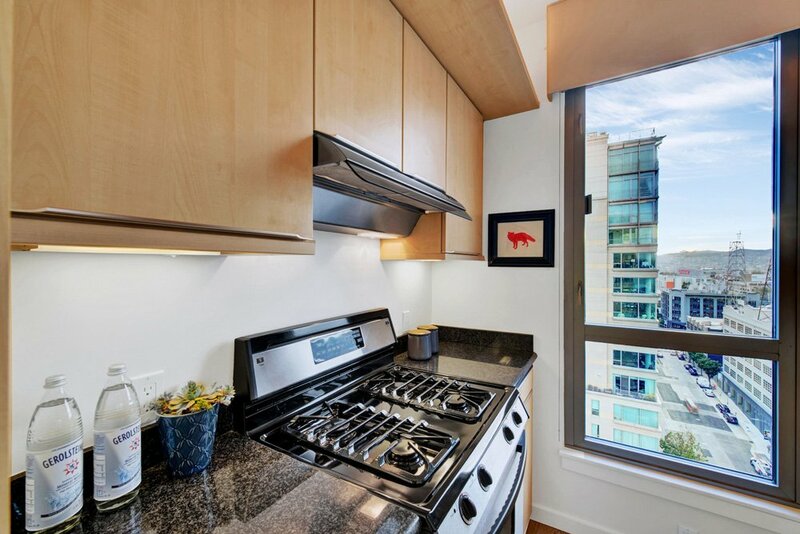 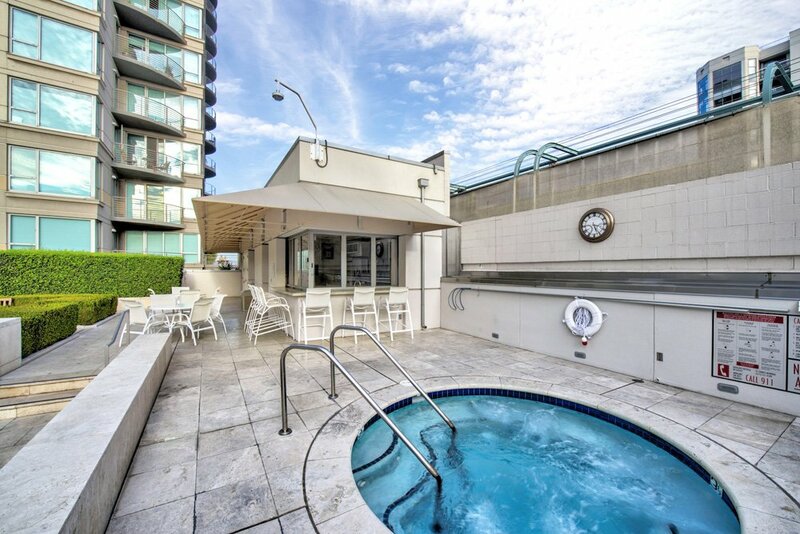 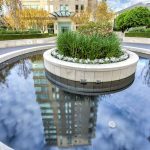 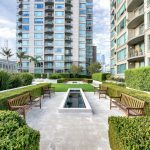 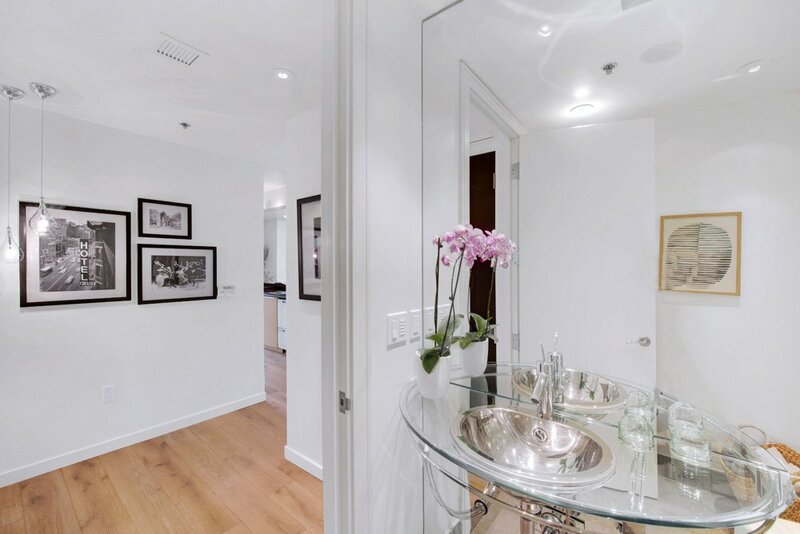 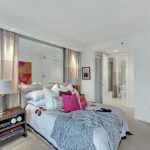 Residence 15A is a spectacular & spacious one bedroom, one and 1/2 bath unit. 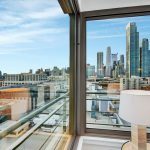 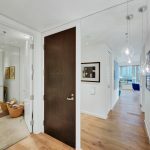 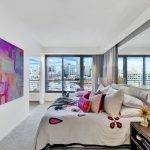 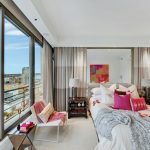 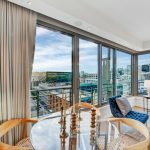 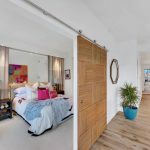 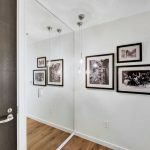 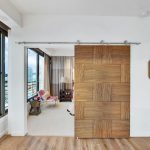 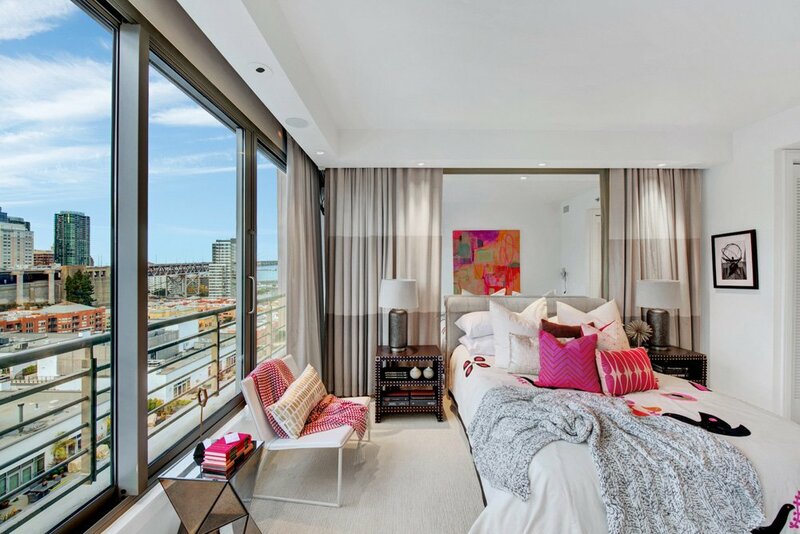 The current owner customized the bedroom wall with an extra wide sliding door to reveal an unbroken view of the city and Bay Bridge along the continuous north facing windows. 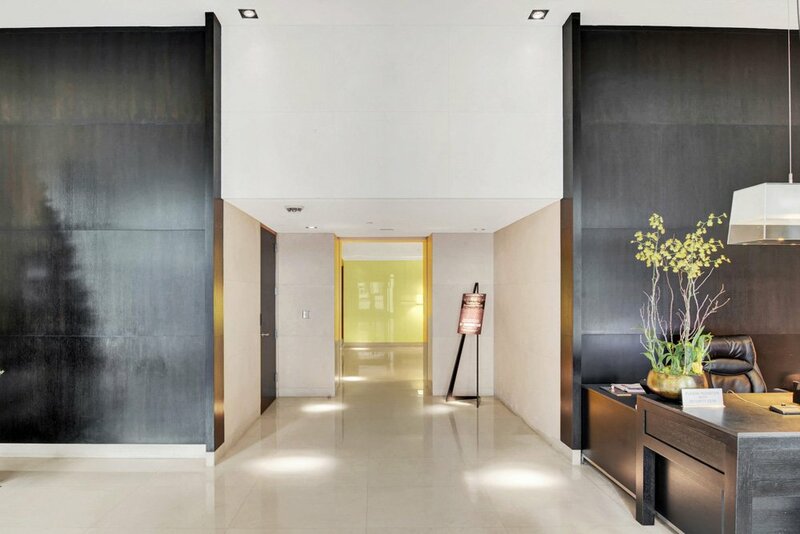 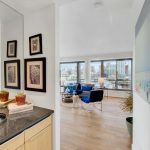 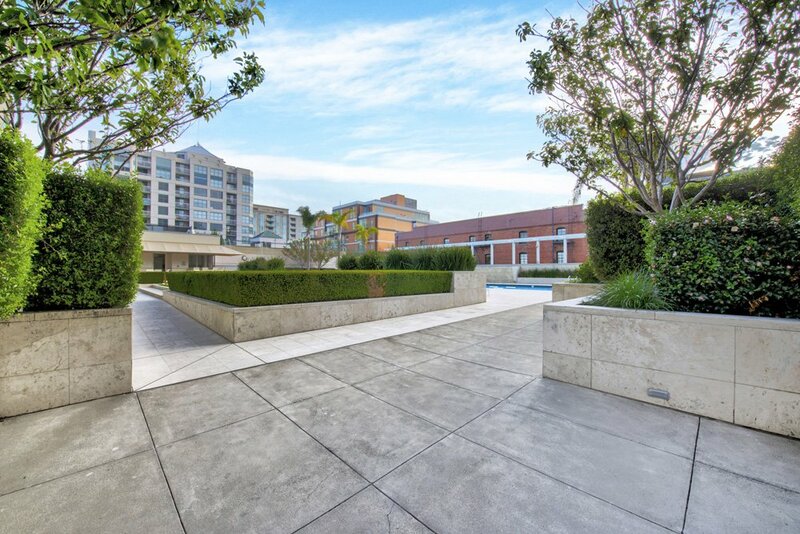 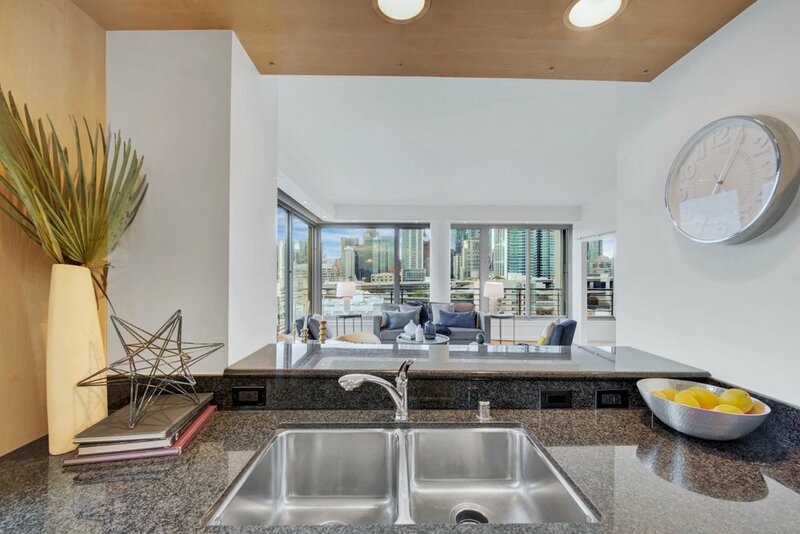 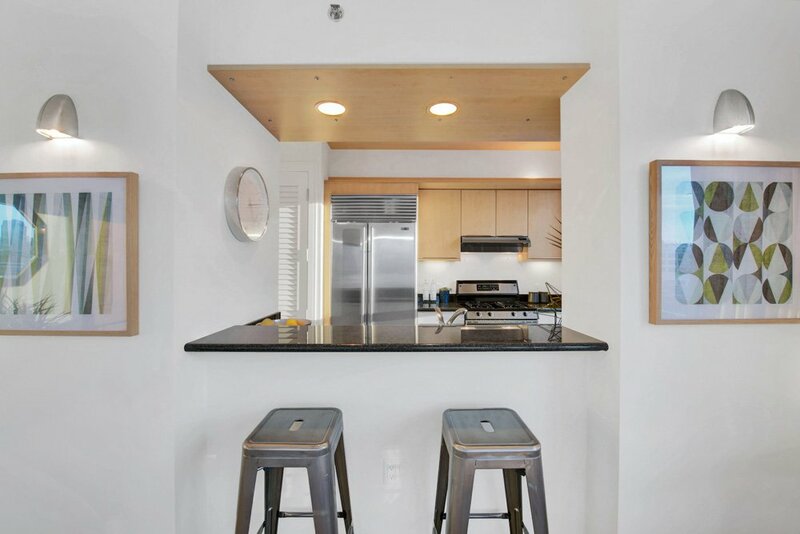 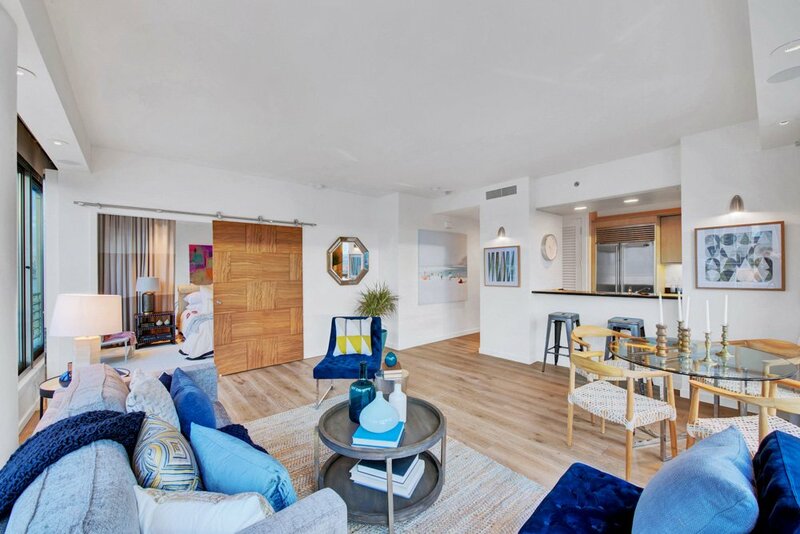 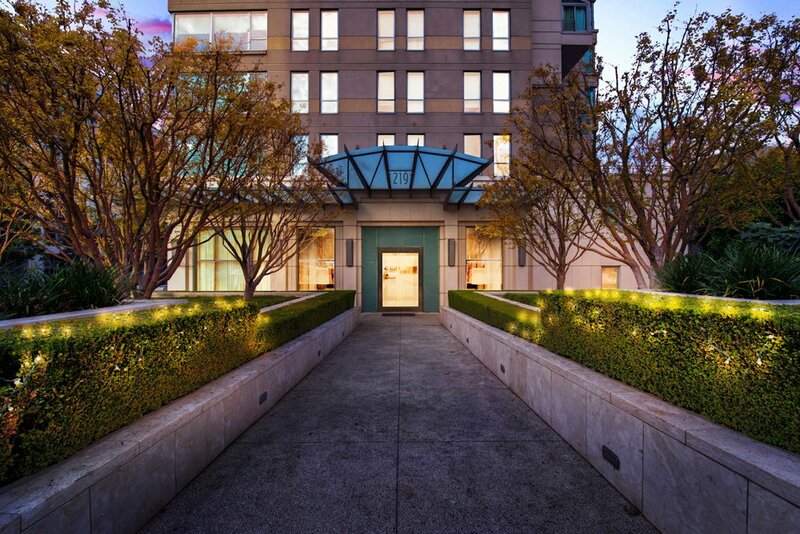 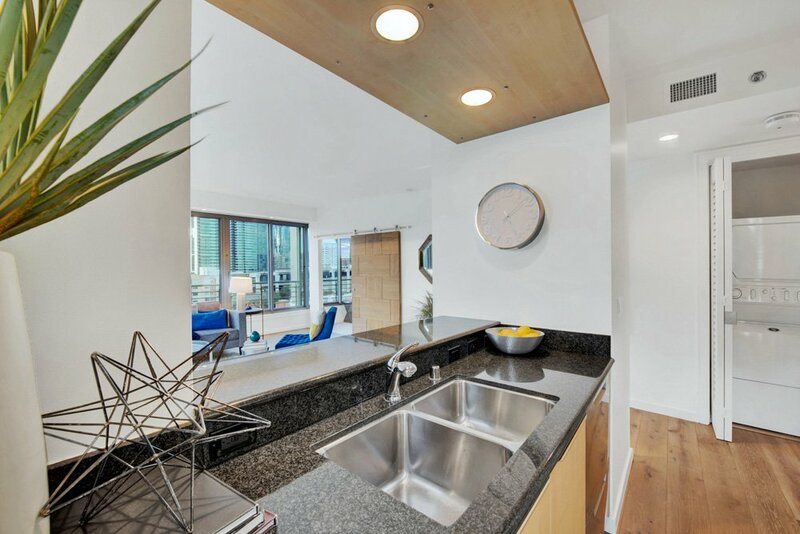 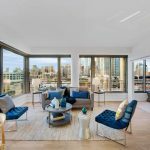 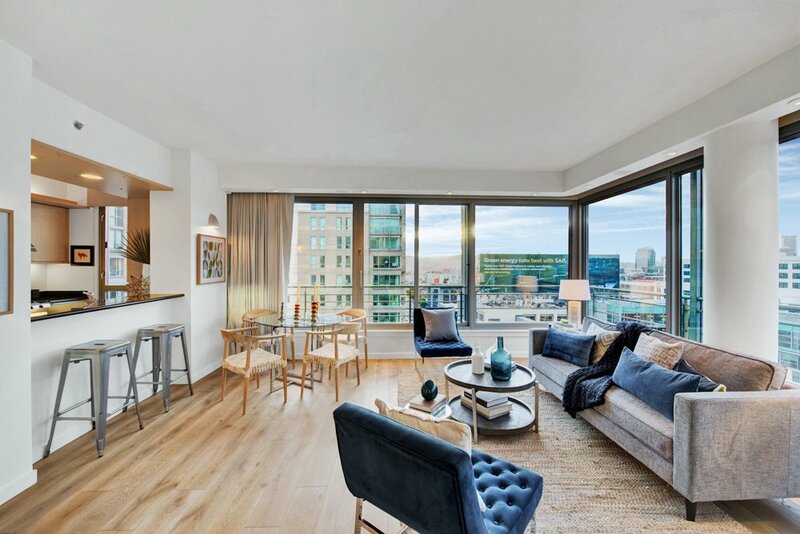 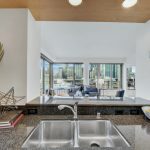 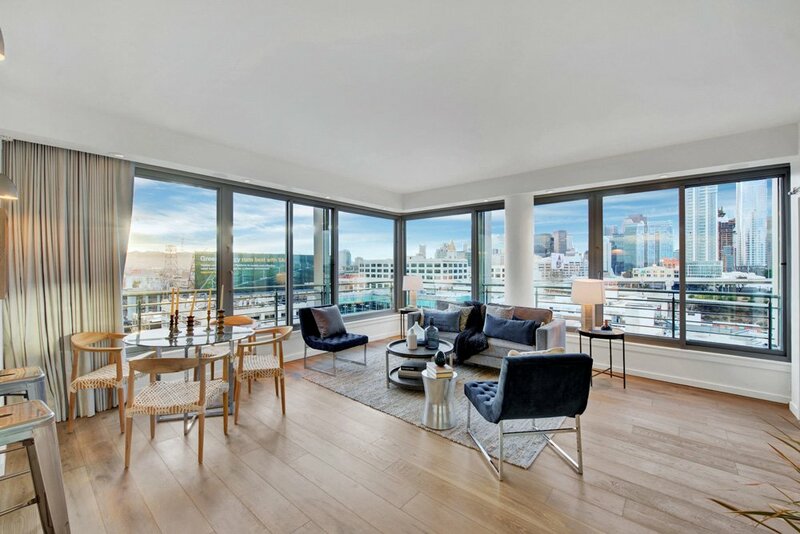 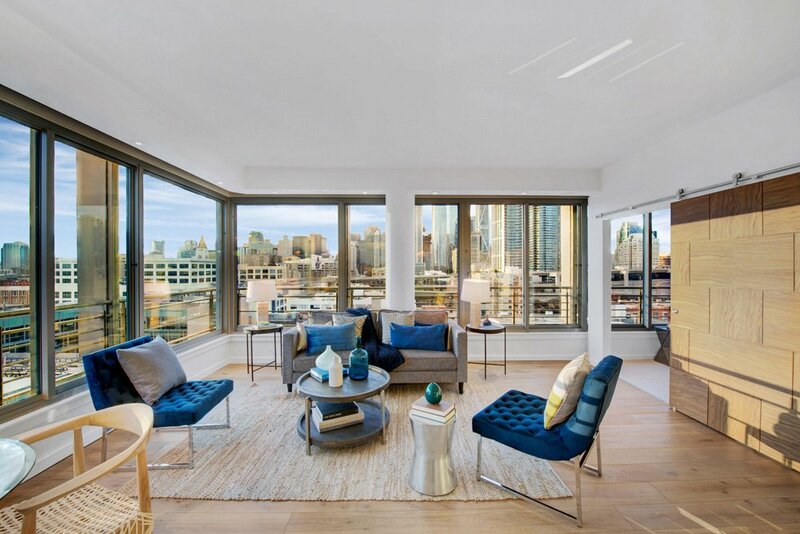 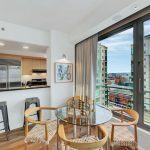 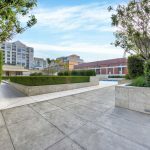 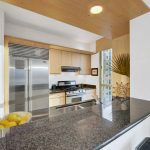 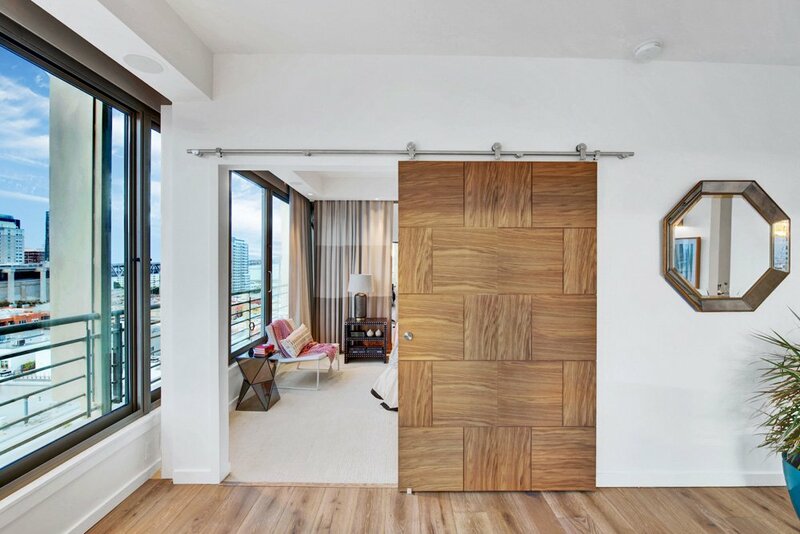 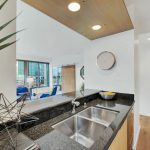 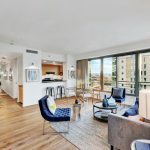 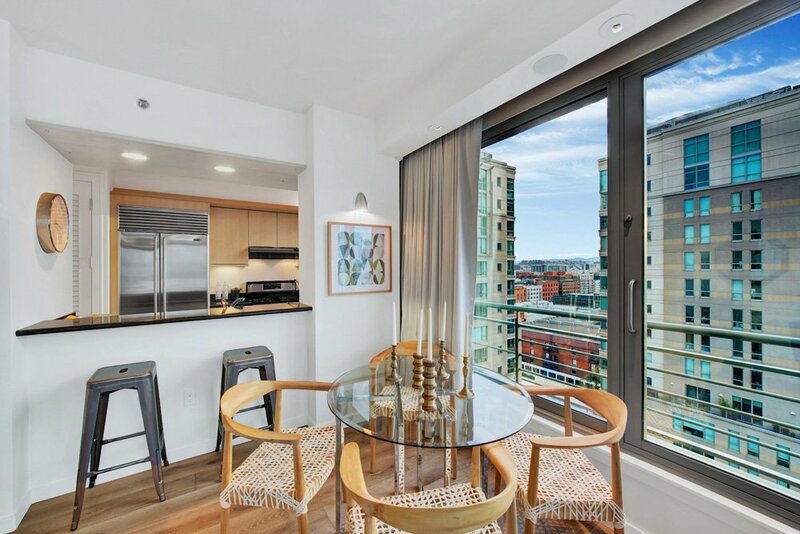 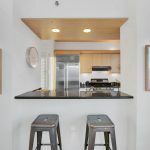 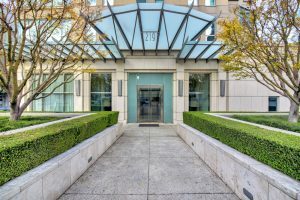 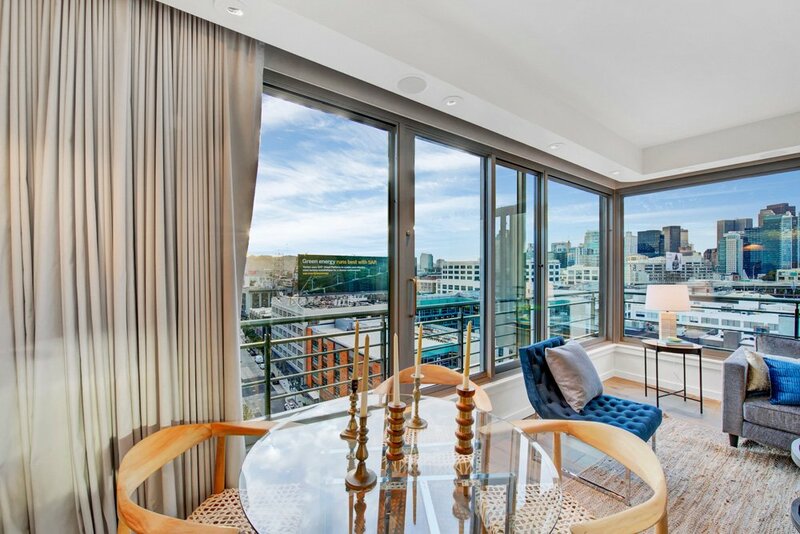 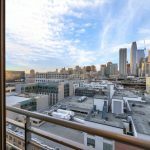 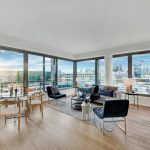 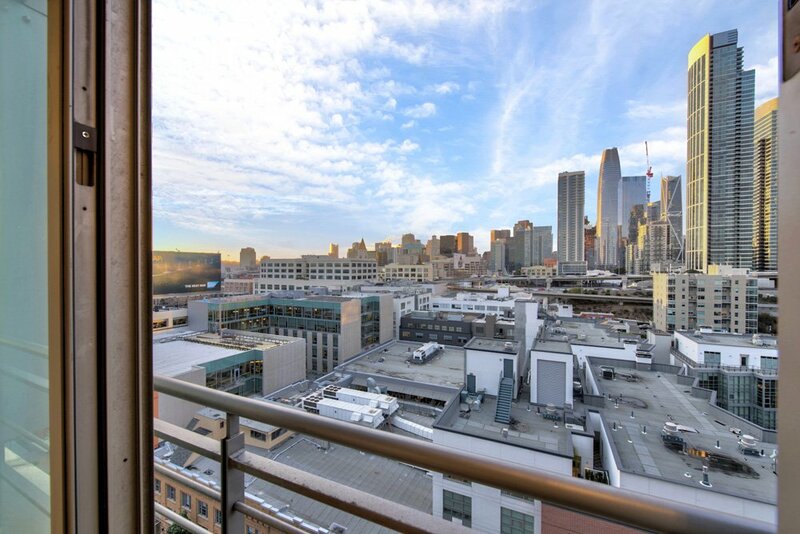 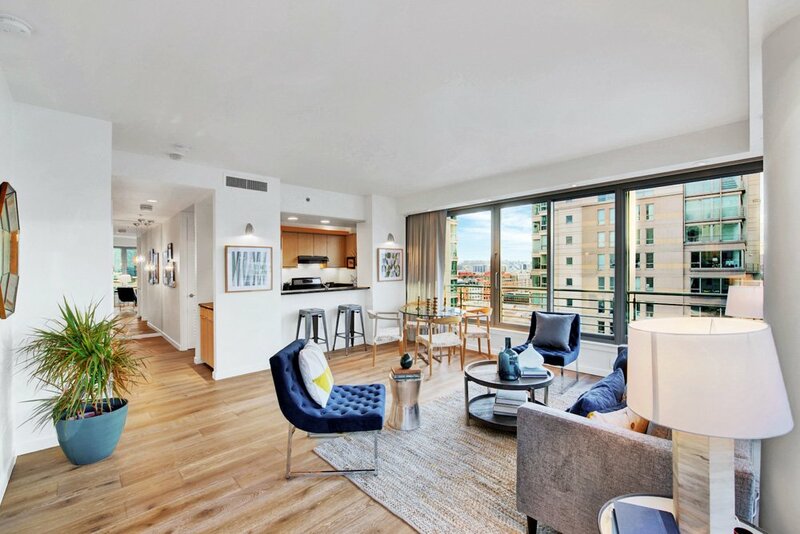 It occupies the coveted north west corner of 219 Brannan and features penthouse style sliding glass walls that can be opened wide for an indoor-outdoor feel. 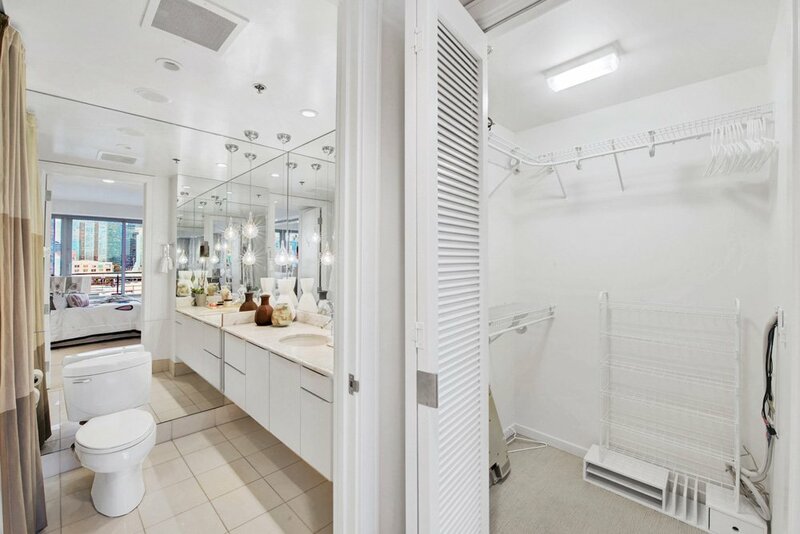 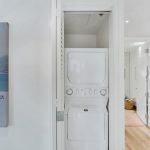 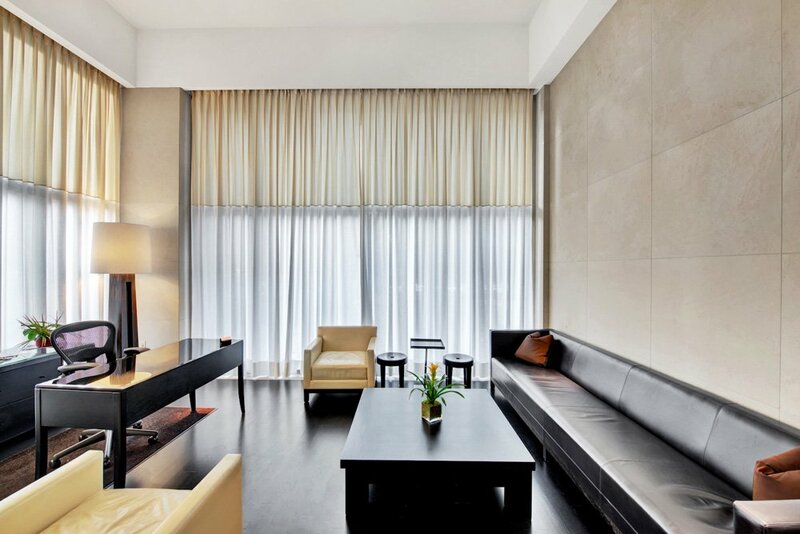 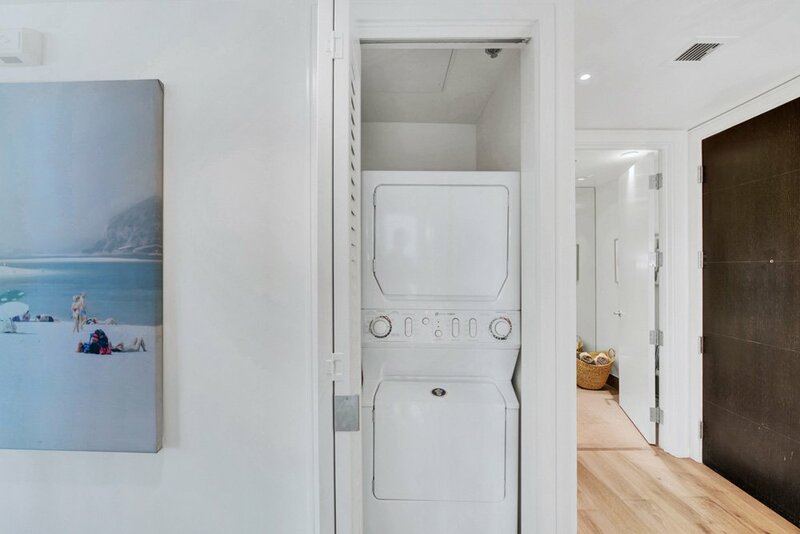 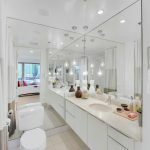 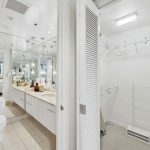 The unit has been upgraded with designer finishes, low-voltage lighting, built-in sound system, and remote controlled draperies. 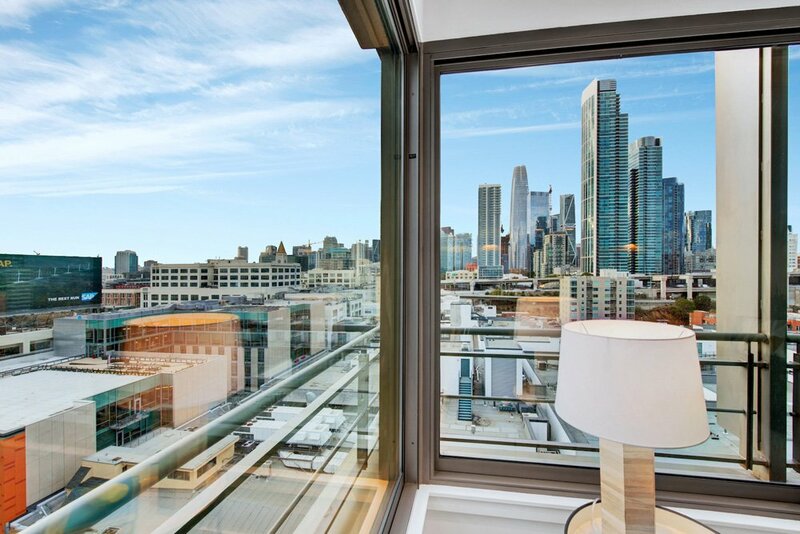 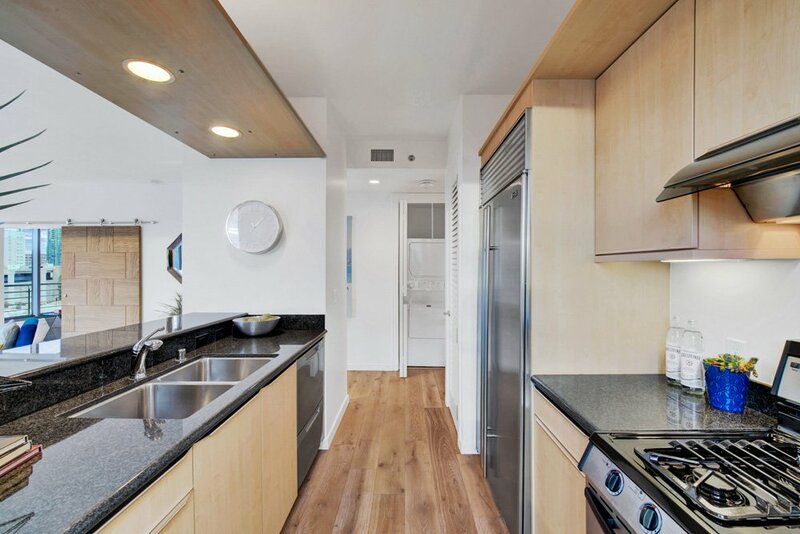 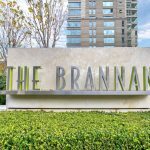 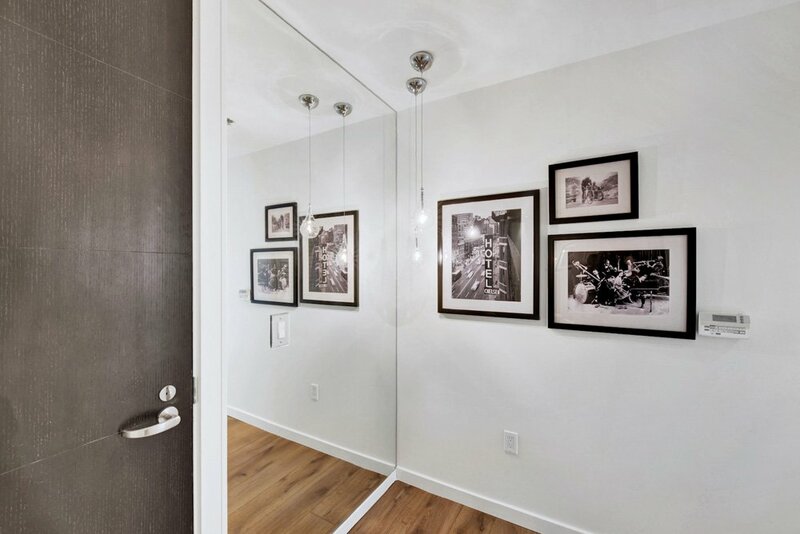 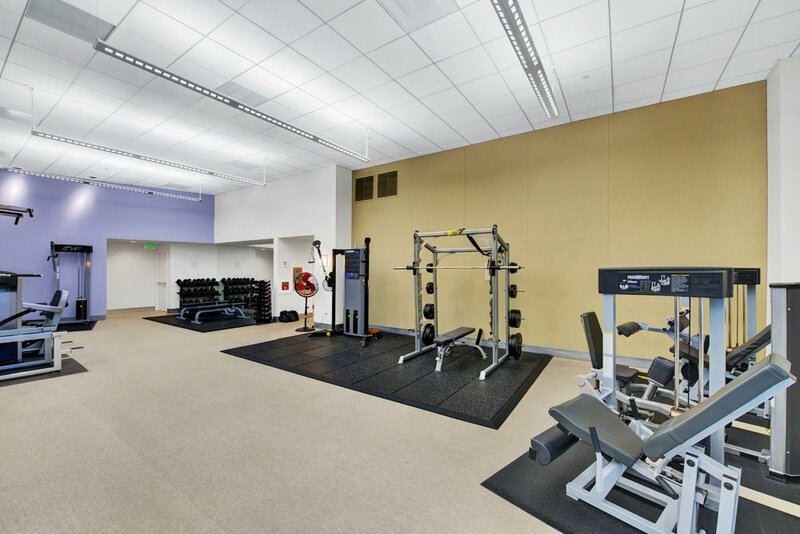 In the time since it was built, San Francisco living has come to the Brannan. 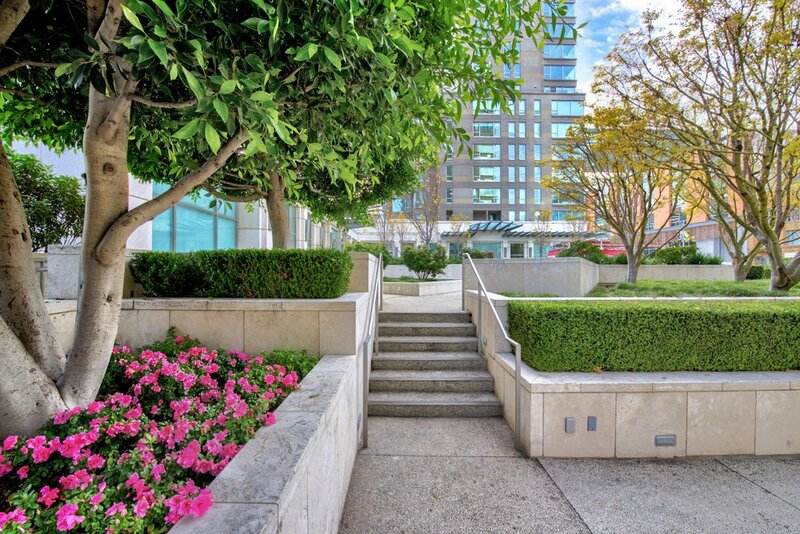 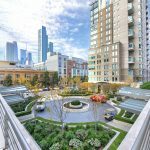 It is nestled between South Beach Harbor and AT&T Park, and steps from dozens of culinary landmarks (think Saison and 25 Lusk or the SF Ferry Building Farmer’s Market). 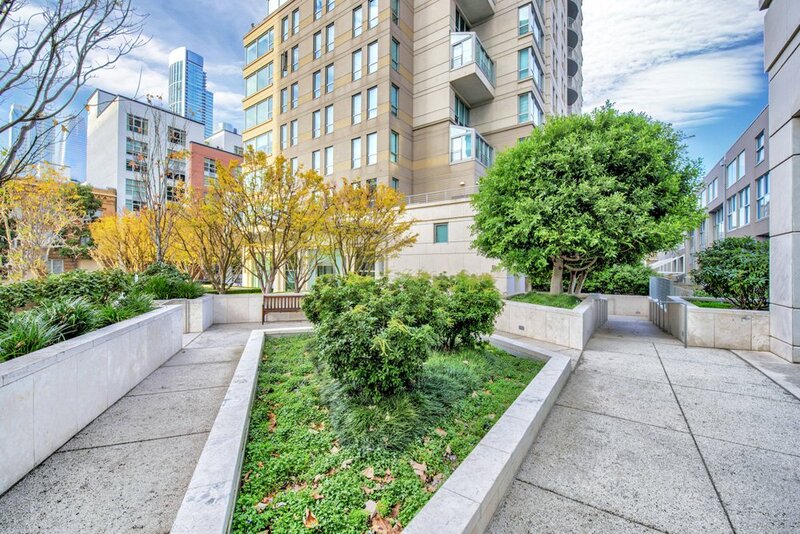 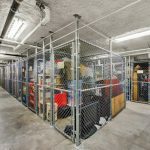 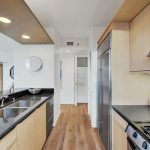 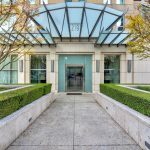 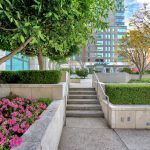 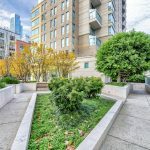 Walkable to Google, Dropbox, the Financial District and CalTrain and seconds from freeways south, this is the perfect SF location for a primary residence or a pìed a Terre.